Farmers use huge volumes of water for growing crops, especially when the weather is hot and dry. Factories use large amounts of water for making products. For example, to manufacture just one cotton shirt uses 3,200 litres. Detergents and chemicals going down the drain and into the water course can cause pollution and eutrophication (an increase in nitrates and phosphates in water leading to algal strangulation of rivers and lakes). Avoid commercial car washing wherever possible. They are very heavy on water usage, so use your bucket and cloth or sponge instead. A garden sprinkler can use as much water in an hour as a family of four does in 48 hours. 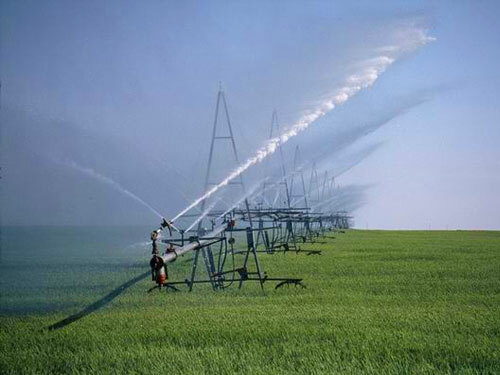 Farmers use huge volumes of water for growing crops. 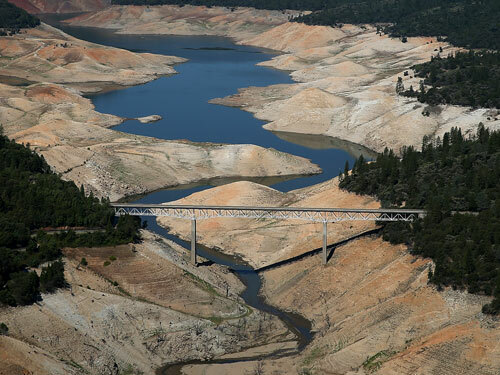 Recently California has experienced its worst drought in history placing unprecedented strain on its water supplies, but could the scramble to save water actually help the state in the long run? Californian businesses consumers and state authorities have been exploring pioneering new ways of reducing water consumption, for example Google has installed new urinal cakes which store water, saving up to 500,000 gallons per year, and Apple is taking new moves to address water consumption, with wastewater technology in its data centres reusing water up to 35 times. In San Diego, water shortages are being addressed by fast-tracking the construction of the $1bn Carlsbad Desalination plant, which turns salt water into fresh water. This produces 50 million gallons of water each day but the costs and energy intensity of desalinating large volumes seawater has proved highly controversial, with costs estimated to be around $108m per year. At domestic level, California has introduced stringent new standards for showerheads which limits output to two gallons per minute and at the same time businesses have also moved in to improve shower water efficiency. To try and stop water loss from reservoirs about 96 million small black floating plastic balls were released onto the surface of Los Angeles reservoirs in order to prevent up to 90% of surface water evaporation, this saves more than 300 million gallons of water each year. State mandated water reductions proved necessary to force through water savings in urban areas, Governor Jerry Brown implemented legislation to cut water use by 25% in towns and cities, with the potential of hefty fines for water-wasters. This was necessary after a 20% voluntary conservation goal had very little success. Californians soon caught on and now understand that water conservation is essential and will benefit in greater urban water security in the event of more dry years. All kinds of ideas have been implemented such as reducing lawn watering, taking shorter showers and replacing inefficient toilets. 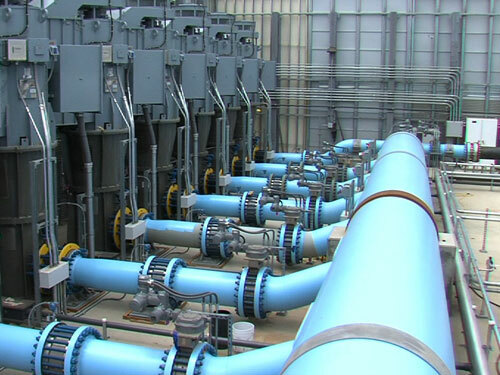 The Carlsbad desalination plant produces 50 million gallons of fresh water each day.